Most steel used to make cutlery is supplied in an annealed (softened) state to make machining easier. In this condition, most of the alloy content exists as alloy carbides, dispersed throughout a soft matrix. These steels must be heat treated to develop their characteristic properties before they can be used for much more than a paperweight. The process of heat treating alters the distribution of the carbides and transforms the soft matrix into a hard matrix capable of withstanding the pressure, abrasion and impacts inherent in metal forming. 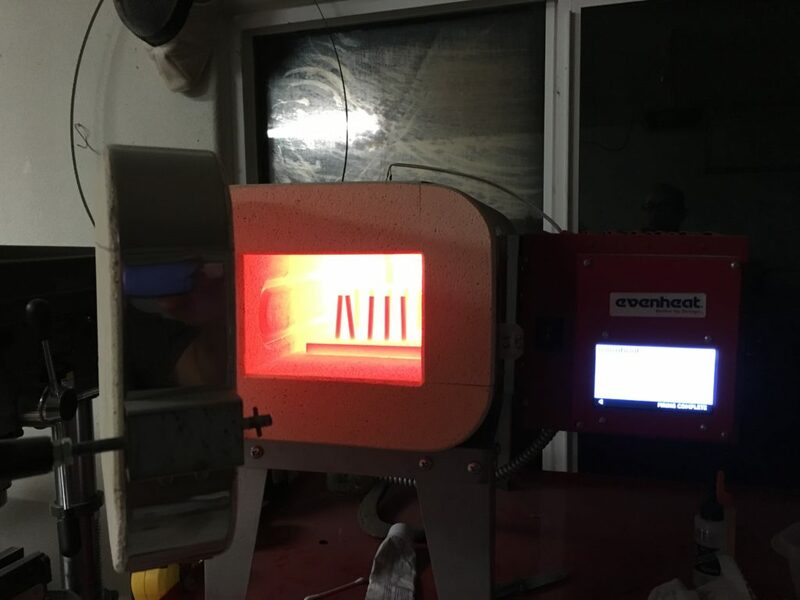 Each step of the heat treating cycle has been developed to perform a specific function with the final product being only as good as its weakest step. 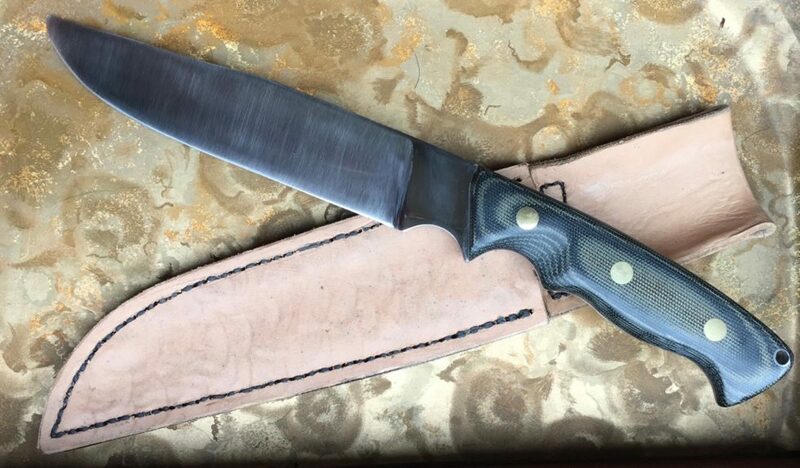 The heat treat process is one of the most important factors in determining the performance of a knife. Preheating, or slow heating, of steel provides two important benefits. Most steel is sensitive to thermal shock. A sudden increase in temperature of 1500/2000°F may cause the steel to crack. Steel should be preheated to just below this critical transformation temperature, and then held long enough to allow the full piece to reach a uniform temperature. Once the entire piece is equalized, further heating to the austenitizing temperature will allow the piece to transform more uniformly helping to keep from warping the piece. Alloy content of most steel exists as carbide particles within the annealed steel. These alloys are at least partially diffused into the structure at the austenitizing temperature. The actual temperature depends mostly on the composition of the steel. The temperature will vary in order to tailor the resulting properties to specific needs.